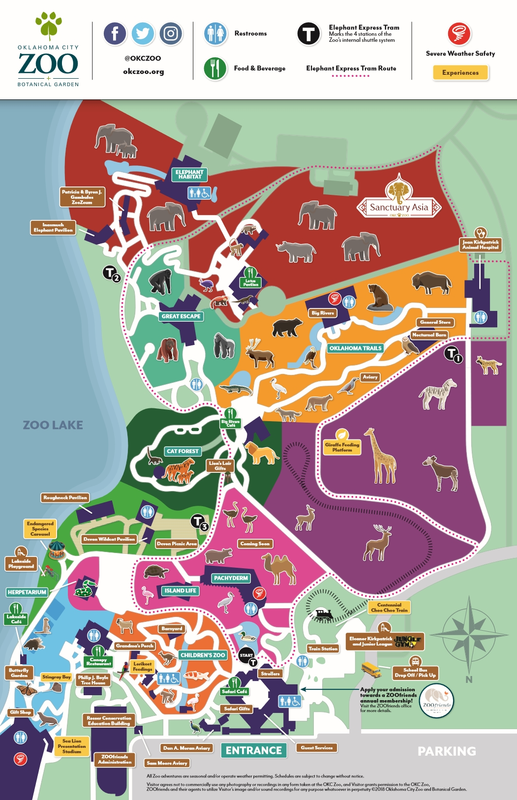 Zoo buildings close at 4:45 p.m. Tips for Your Zoo Experience! Guests are welcome to bring in personal coolers with outside food and drink. Open-air cooler storage is available by the Jungle Gym playground. For the safety of our animals, please refrain from bringing pets, plastic lids or straws, glass containers, alcoholic beverages, grills and balloons of any kind. For the safety of our guests, radios or boomboxes, skateboards, roller skates, Heelys or other wheeled shoes, inline or roller blades, frisbees, bicycles and other sports equipment are not allowed. The Oklahoma City Zoo and Botanical Garden is a business operated by a public trust and is not been designated as a “park”. As such, the Zoo prohibits firearms on grounds. This is expressed at all entry points into the Zoo. 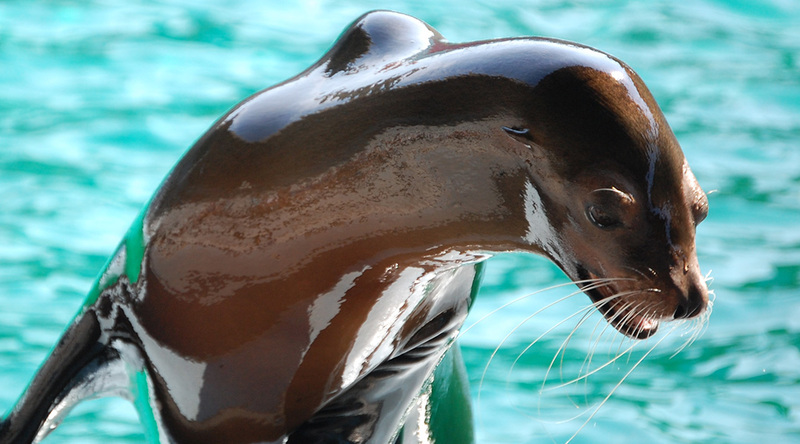 By state law, smoking is not permitted in zoological parks, including electronic cigarettes or vaping devices. Please refrain from smoking on Zoo grounds or parking lot. Looking for a place to stay in OKC? 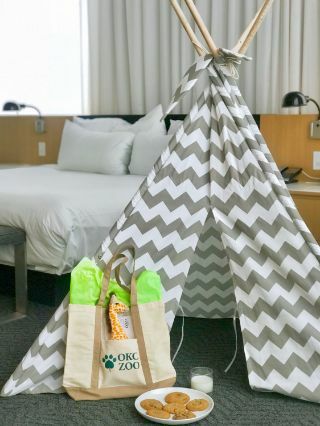 The 21c Museum Hotel has partnered with the OKC Zoo and is offering a Kid's Exploration Package which includes fresh cookies and a tent set up in each room as well as an OKC Zoo tote bag with a map and 4 general admission zoo tickets for your big day. Our animals are on special diets. Please do not share your "treats" with them. This includes all animals that live at the Zoo, even squirrels, peacocks and birds. We have regularly scheduled animal feedings (i.e., Giraffes and Lorikeets) for your convenience. To retrieve lost items or turn in found items, please go to the Guest Relations office at the main entrance. Please leave your pets at home. If you chose to bring "Spot" with you, the Zoo offers an area to house pets for a small fee during your visit. Before entering the Zoo, please check in your guide animal(s) at the Guest Relations office located in the Zoo's Global Plaza.